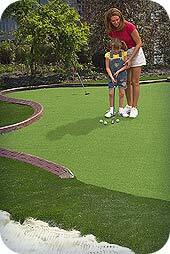 Detroit Putting Greens & the most realistic artificial golf turf in Michigan! Our golf passion is strong like yours. our Pure Absolute Roll™ turf product line. 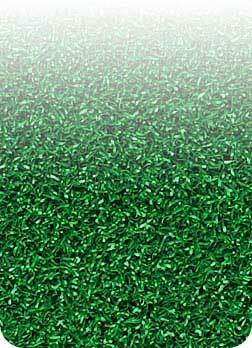 Unlike the original deep sand-filled backyard golf greens which are still widely promoted today, even here in Detroit, our high-tech nylon putting greens don't require the deep sand infill used by others to prop up their inferior putting green turf fibers. The extremely durable Putters Edge nylon fibers & proprietary "tufting" process combine to create high performance synthetic putting green turf - for years of realistic putting practice. We're so confident, we back PAR Turf putting green turf with an industry-leading 10-year warranty. More than putting green marketing, it's our passion. 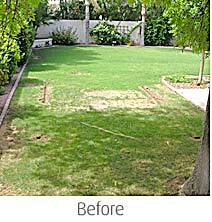 Transform your Yard. 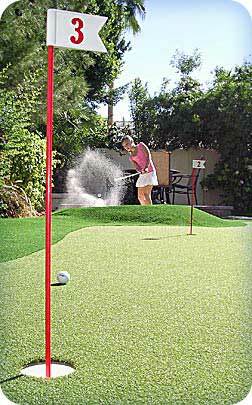 The addition of a Greenskeeper Golf putting green will indeed transform your Greater Detroit yard. 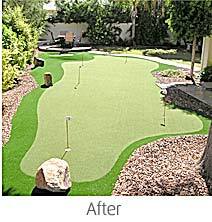 Putting greens add beauty and recreation to your home's exterior space. Family, friends and associates will enjoy long hours of entertainment value from your yard's beautiful new additions. Our design commitment is always to deliver an integrated package that complements your new or existing landscaping. There is so much more available today than the backyard putting greens of long ago! Transform your Game. Beyond the value of your family's recreational entertainment, golfers who are serious about golf game improvement will see significant results in their golf scores with a Putters Edge green. Our designs include a variety of short-game practice options, like stand-alone chipping platforms, bunkers and more. In a typical round of golf, the average player accumulates 50-60 chips and putting strokes. Regardless of your full-swing skill, refining your short-game feel and confidence is the surest way to shave strokes from your score on the golf course. Convenient, satisfying golf practice at home - shared with family & friends - WILL transform your golf scores! A Green for Every Golfer. Greenskeeper Golf also carries full-ranged specialty golf turfs including fringes, tee line, mini golf - everything needed for your Detroit area "Dream Green"! Greenskeeper Golf putting greens are more than simple backyard entertainment - amazing landscaping opportunities, too - whether backyard putting green or complete office, hotel, condo association, nursing home or health facility lawn systems. Whatever your home or business turf needs, we have the approporiate synthetic sports turf, and the design and installation experience to beautifully bring your best Michigan putting green ideas to life.